She was really nice and assured me she was going to help fix my teeth. The office was beautiful and staffwas really warm and welcoming. She was really nice and assured me she was going to help fix my teeth. The office was beautiful and staff was really warm and welcoming. She is very nice and the place is super friendly. Dr.Chang is very knowledgeable and considerate. The only concern on myside is the price. She is very nice and the place is super friendly. Dr.Chang is very knowledgeable and considerate. The only concern on my side is the price. Our philosophy at Dental Serenity of Manhattan is to create healthy, luminous smiles in which our patients can shine throughout their day. 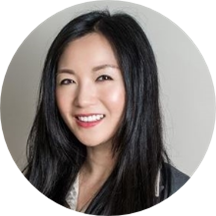 Dr. Nina (Li-Sin) Chang is an absolute perfectionist and only provides high quality care for her patients. As a thorough, compassionate dentist,customer care is the cornerstone of her office. To that end, Dental Serenity of Manhattan strives to ensure that our patients experience a positive and serene visit when they step through our doors. Dental Serenity of Manhattan creates custom treatment plans to match the needs and desires of our patients, and in doing so, empower them with confidence. We are at the forefront of the latest research and technology in dentistry. Our team is committed to providing the highest quality and best-in-class care to help our patients achieve optimal oral health. To conduct her pre-medical studies, Dr. Chang attended Columbia University. She pursued her dental education at the University of Pittsburg and the Flushing Hospital Medical Center. Dr. Chang has received advanced training in smile reconstruction and rejuvenation, Implants, Sleep Apnea, Invisalign braces and comprehensive orthodontic treatment with metal and ceramic braces. She is now a member of several professional organizations which include the American Dental Association, the American Academy of Cosmetic Dentistry, and the American Academy of Cosmetic Orthodontics. Patients visiting Dr. Chang can receive a full range of both general and cosmetic dental services. Treatment for dental emergencies are also available. When she is not treating patients, Dr. Chang enjoys reading, yoga, travel, and cooking. PLEASE ARRIVE 30 MINUTES EARLIER IF YOU ARE A NEW PATIENT. Dr. Chang and her team were extremely patient, kind, and courteous. They took time to explain the details of my procedure and the pros/cons of my options. The facility was very clean and modern. They called me later in the eveningto check on me, as well as sent a text the next day to also check in. Would highly recommend! Great office and great staff! Came in for a Cleaning and Filling. Super professional and super thorough. Very high tech compared to other places i've been. This was definitely the best dentist visit I have ever experienced. I hadn’t been to the dentist in years and needed a thorough check up and cleaning, and everybody in the office was so friendly. Dr. Chang was kind and explainedeverything so that I could easily understand what my issues are and what my options are. And the office itself is really beautiful. I will definitely be back. An Outstanding practice! the doctor and staff was so amazing! No wait time at all, i had a cleaning and an exam done. Let me tell you, this the best cleaning i have ever had!The doctor Chang answered all my questionsand came up with a plan right away. Overall, great practice, will recommend everyone! Came in for an overdue cleaning. No wait on a Friday afternoon. Dr Kim was very thorough and explained what she was doing and the next steps for treatment very clearly. Absolutely the best dentist I have ever had, amazing staff, kind, friendly, thorough, and pain free. Dr. Nina was very thorough, she spent a lot of time examining things that many other dentists miss or often bypass in favor of getting to the next patient. She was able the catch the issues that my other dentists missedin the past and suggested preventative methods to improve the health of my teeth in the long run. You really feel like she cares about your genuine well being instead of just being someone to make money off of. Well, it is super pricy. I changed to other dentist now and my bill cut 3/4. The front desk charges you a lot not sure why. I was a patient for Dr. Chang for about 2 years, and finally I switchedbecause none of my friends have higher treatment bill than me. Best dentist among I have visited. Knowledgeable, considerate, and professional! Arranged a very detailed plan for me. I live from her office now but I will definitely come back again! Dr. Chang is my new favorite. The office has a lot of fancy equipment and they even offer to play Netflix if you show up early and have to wait. NETFLIX!!!! She is very thorough and she exposed a lot ofoversight my former dentist missed, which shocked me. Dr. Chang takes before and after photos to makes sure you understand what was done and how it is beneficial. She cares and I like that. The best tooth doctor ever. Very professional, patient, nice. The environment is very clean and quite, they even have a PC for playing music or movie for you while doing the examination/cleaning. The equipments and tools she used are very advanced.After examination, she explained to me in very detail for each bad tooth, and then gave me suggestions and asked for my decision. very nice experience! Dr Chang is really good and professional. I don't know if the front desk billed me the right amount since it is higher than what I got from Metlife's bill of statement. I will just shot an email and figure it out. The entire staff is amazing, informative and they care so much about your comfort. Best regular cleaning I've ever had. Choose upbeat tunes on the Pandora (yes you can choose your own music) to brighten up your hygienists' day. I was completely impressed with the whole staff. When I arrived I didn't have the correct dental cards and the receptionist went out of her way, to find out what kind of insurance I had and what level of coverage. DoctorChang and her assistants were every patient with me...With me having a extreme fear of a dentist. I left the office thinking I made myself believe it was going to be worst then what it really was. Very professional and took the time to explain any problems or issues in detail. Always made sure I was comfortable. The technology used there was great and convenient. The receptionist was very pleasant as well as the dental assistant. Althoughthis is only after 1 visit, I think I may have found my new dentist! Very thorough, nurses and doctor were nice. Very tentative and personable. Great follow up after treatments. I had a very good experience here. Dr. Chang was very thorough with my examination and showed me pictures of the problem areas of my teeth, which I found helpful. She filled my cavities without causing much pain :) Additionally, thestaff did a great job explaining what my bill might be, how much my insurance would cover, and how much I should expect to pay out of pocket - something most dentists/doctors don't do and that I really appreciate about Dental Serenity. Possibly the best dental cleaning experience I've ever had in my life. Ms. Chang and her entire staff was extremely considerate and funny. Everyone explained everything so well, I felt so confident in making informed decisions about my dentalcare, which is rare because sometimes one can get caught up in the medical jargon. I was very impressed with Dr. Nina Chang and her staff. Her examination of my teeth was incredibly thorough and painless. She examined and took pictures of every tooth, with x-rays to boot. Her diagnoses were detailed, specific and backed byevidence and we were able to map out a treatment plan. Her office provided full visibility into how much my insurance would cover, in advance of scheduling my treatments, which I appreciated. Dr. Chang's office is very tech savvy and filing of new patient forms were seamless, quick and electronic. Patients can fill them out via email days before the actual appointment. When I arrived there was no wait time. I was extremely pleased with the friendliness and knowledge of her staff. Her bedside manner is great and both she and her assistant explained each process carefully and inquired about my well-being through out. I will certainly be back and recommend Dr Chang to others! Honestly the only time I have been remotely well informed from a dental checkup. I'm used to references to the numbers of the teeth, sorry us lay-people don't stay up memorizing that, and being harassed to floss. I was told Ireally need to floss, but I was shown some awesome (read: gross) before and after pics of my own teeth which inspired me to floss too! She also explained a few things with my bite with photos, not x-rays, and the future possible problems and solutions. Highly, highly recommended. Also, her exam chair is a normal dentist shaped-massage chair--that's what I'm talking about while taking a long lunch break during work! Dr. Nina is the best dentist in every aspect. Dr. Nina, Susan and Jenny were very professional. They explained me everything and clarified all my concerns. I highly recommend Dr. Chang! It was a pleasurable experience I must admit. As pleasurable as the dentist can be. I went in for a cleaning and the dental hygienist Susan was a sweet young lady and very thorough in explaining what she was doing andwhy. Very friendly staff, and I would recommend Dr. Chang to anyone. Dr. Chang came and spent time with me in the beginning, and at the end to talk with me about my teeth. She was very informative and pleasant. They were very hands on in showing me my teach on a TV screen and answering any questions. Doctor and staffs are very nice. They explained me very clearly about my concerns. Also they have Japanese translater. That worked me. Dr Nina blows any other dental experience out of the water! Technical, professional, educational, comfort, personal, and luxury. She is hands down the best! I would recommend her with no reservation! Love Dr Chang, very friendly and professional. Awesome doctor and very friendly staff/office. There was a patient with an emergency, so I had to wait 30 min. or so, but was given a Starbucks gift card for my troubles. Legit. Really sweet. Helped me figure out my options with my insurance and which treatments i should do next year so i'd have to pay less. Always a nice experience. I highly recommend dr Chang. Had a great experience here and would recommend to anyone looking for a new dentist.